YA Virtual Book Clubs Are on the Rise, and Here's Why You Should Join One Too! One, as a young adult author, it's always nice to hear that somebody wants to read your book, especially a book with a diverse cast. And two, I was so excited to be a part of a virtual book club! Reading used to be something we did in solitude, but thanks to the Internet, things have changed dramatically. Now, reading has become something people from all around the world can partake in together, meeting on social media sites like Twitter, Instagram, Tumblr, and more to talk about their favorite books. The best part? You can discuss a book from the privacy of your own home while lounging in your pajamas and bingeing on chocolate. Sold yet? 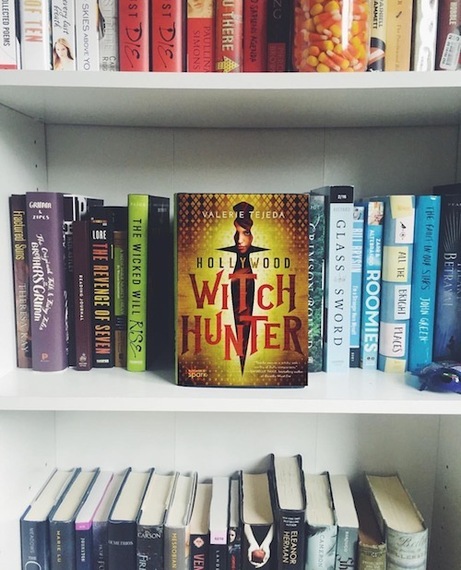 For BookTuber Sasha Alsberg, starting the book club was a way for her to connect with the many readers who tune in to her weekly videos looking for a new young adult book to read. "The reason we started the Perustopia book club is because we wanted to read books with our viewers and create an environment where we could do so!" she says. Regan adds, "I wanted to start the book club so I could have a way to directly connect with the people who watched my channel - that and it also sounded like a whole lot of fun." Another great thing about virtual book clubs? There's a strong sense of community, and for many people, it's a source for blossoming friendships and much needed encouragement to continue reading. "I love to participate in virtual book clubs," says Vivianne, a self-proclaimed book geek who has done read-a-longs with BookTubers Benjaminoftomes, Booksplosion, and of course, Perustopia. "I've met some people who've become my closet friends and love to talk about books with me. It's been so fun!" So how does one go about finding a virtual YA book club? Besides joining a read-a-long with the BookTubers mentioned above, there are also book club groups on Goodreads, and many young adult book bloggers have book clubs as well. Another great thing to do is search the hashtag #bookclub on Twitter and see if you can find any read-a-longs that are of interest to you. Truthfully, the best things to do is give one a try and see how it fits. You'll never know if you like or dislike a virtual book club unless you try one. "For me, it was as simple as googling YA read-a-longs and I found a ton," Vivianne says, "and I'm so happy I found them and joined them because I think my life would be so boring with out them. It's really been a great experience."